Latino farmworkers are exposed to a number of carcinogens in the workplace. Cancer survival rates for Latinos are below average. 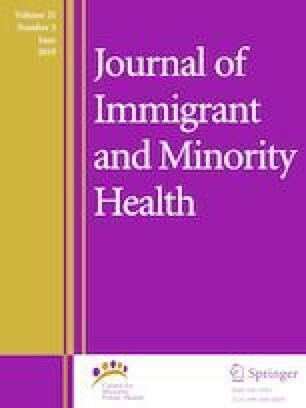 This paper describes Mexican immigrant farmworkers’ knowledge of colorectal, breast, and testicular cancer, and compares farmworkers’ cancer knowledge to that of other Mexican immigrants. Survey interviews for this study were conducted with 100 farmworkers and 100 non-farmworkers in 2015 in North Carolina as part of an ongoing community-based participatory research project. We found low to moderate levels of knowledge about colorectal, breast, and testicular cancer among farmworkers. Compared to non-farmworkers, farmworkers had similar levels of knowledge about breast and testicular cancer, but slightly lower knowledge about colorectal cancer (p = 0.0087). Few studies have used quantitative methods to assess farmworkers’ knowledge of specific types of cancer. Our results demonstrate a need for increased dissemination of existing cancer education programs and further research to develop additional educational tools. This research was supported by grant R01-ES008739 from the National Institute of Environmental Health Sciences. Centers for Disease Control and Prevention: Colorectal cancer statistics. https://www.cdc.gov/cancer/colorectal/statistics/index.htm (2017). Accessed 15 Aug 2017. American Cancer Society: Cancer facts and figures for Hispanics/Latinos, 2015–2017. https://www.cancer.org/content/dam/cancer-org/research/cancer-facts-and-statistics/cancer-facts-and-figures-for-hispanics-and-latinos/cancer-facts-and-figures-for-hispanics-and-latinos-2015-2017.pdf (2015). Accessed 15 Aug 2017. Centers for Disease Control and Prevention: Breast cancer statistics. https://www.cdc.gov/cancer/breast/statistics/index.htm (2017). Accessed 15 Aug 2017. American Cancer Society: What are the key statistics about testicular cancer? https://www.cancer.org/cancer/testicular-cancer/about/key-statistics.html (2017). Accessed 15 Aug 2017. National Center for Farmworker Health: Colorectal cancer screening test—in Spanish. https://www.youtube.com/watch?v=UDgAezposV4 (2016). Accessed 15 Aug 2017. Bachman L. Breast cancer, health centers and U.S. agricultural workers. National Center for Farmworker Health. http://www.ncfh.org/1/post/2015/10/breast-cancer-health-centers-and-us-agricultural-workers.html (2015). Accessed 15 Aug 2017.